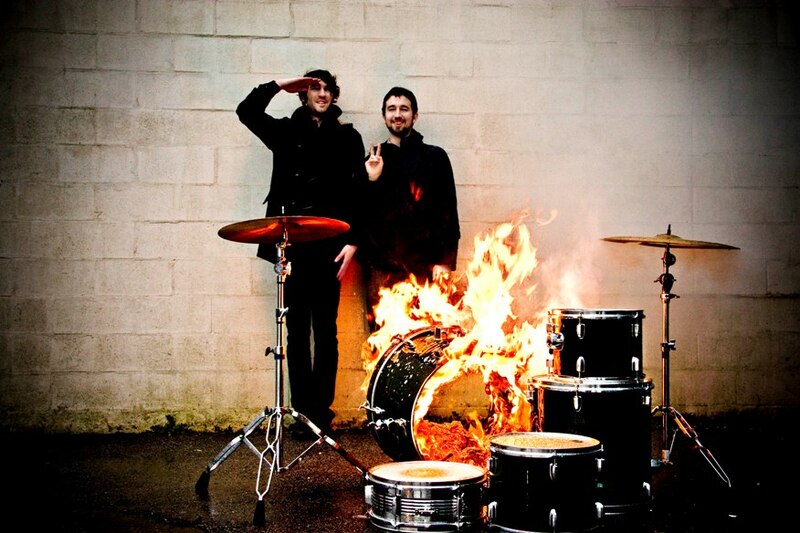 ONE OF THE DUDES IN A BAND CALLED JAPANDROIDS IS NAMED DAVID PROWSE. Because to us, David Prowse has always been the 6 foot, 7 inch bodybuilding British actor who was inside the Darth Vader costume for the first three Star Wars movies! Yeah, it’d be great if Darth Vader was himself an android, but he’s not. He’s a human being who’s been augmented with mechanical/robotic parts, perhaps more machine than man, but expressly not an android….Those are all robot. Hidden Fortress was an influence on Star Wars right from the beginning….I was searching around for a story. I had some scenes—the cantina scene and the space battle scene—but I couldn’t think of a basic plot….And then I thought of Hidden Fortress…. It’s not even an “Oh, OK, I can sort of see that…” kind of linkage between the films, either. It’s pretty obvious. Darth Vader is Lucas’s extrapolation of the villainous warrior General Hyo Tadokoro. The Hidden Fortress, from plot to characters, is like watching an early version of Star Wars unfold in Kurosawa’s deft hands, in Japanese, and a long time ago, in a feudal land far, far away. Even better, though: the two characters from The Hidden Fortress you can most easily see echoed in Star Wars are a pair of bickering peasants, Tahei and Matashichi, from whose perspective the story is told. They wander around, get split up, get tossed into a slave camp by the enemy, are miraculously reunited, and finally hitch up with a princess and a sword-fighting samurai. Starting to sound real familiar? It should. George Lucas turned Tahei and Matashichi into C-3PO and R2-D2. The Droids! A. I barely get the joke about “Four of your funky neons…” and then “Let’s try some of that liquid stuff in them…” Maybe there’s some alien backstory I missed. Do these aliens eat plastic cups? Is that what I’m supposed to assume? B. What does the British voice-over say at the end? “Not of”? “Not Earth?” UK readers, help me out. And C. Why do those aliens look so damn familiar? Actually, I think I’ve got the answer to C locked down. I’m pretty sure McDonalds stole them from Joe Dante. Remember Explorers (Joe Dante, 1985)? It’s the one where Ethan Hawke, River Phoenix, and that other kid put a junked Tilt-O-Whirl car inside this computer-generated force field thing dreamed by Hawke and put together by Wolfgang the scientist (Phoenix). The oddest thing about it is that the McDonalds TV commercial borrowed from a movie that’s so critical of TV. Wak and his sibling alien Neek turn out to have gotten really warped ideas about humanity from watching tons of TV via signals broadcast into space. They think we all just talk like talk show hosts and want to kill aliens. The McDonalds aliens, on the other hand, use their 30 seconds to try and convince us that we really need to go out, buy huge sodas, and collect all the neon plastic cups we possibly can. Pretty warped notion there, too. It all sort of makes me wish McDonalds had ripped off a different character from Explorers: Heinlein, the mouse that Wolfgang has trained to touch sensor pads which allow him to speak.